Philipsburg – SHTA is proud to hand the Annual Events Calendar to their main sponsor Carib/Shandy Beer. 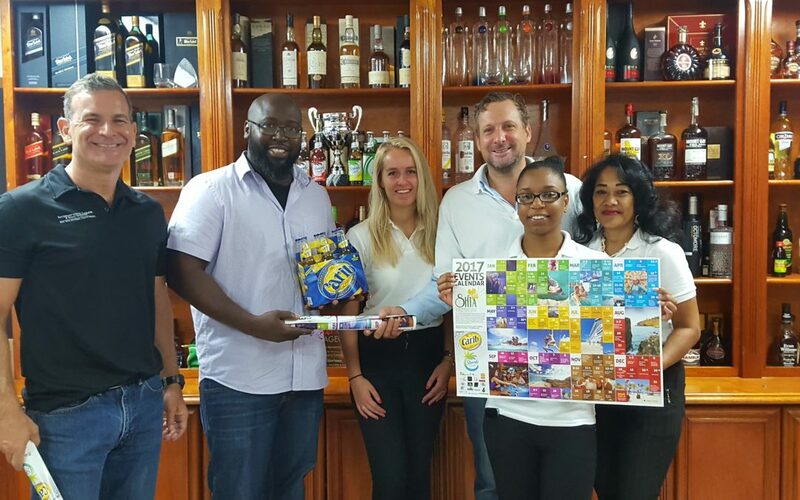 Last Thursday, January 12th, Carib brand manager Cleon Frederick and International Liquors & Tobacco (ILTT) CEO John Leone officially kicked off the SHTA St. Maarten Calendar Tour with the SHTA team. ILTT being a longtime active member and partner in large to SHTA events, this Thursday’s location for the official launch felt befitting. 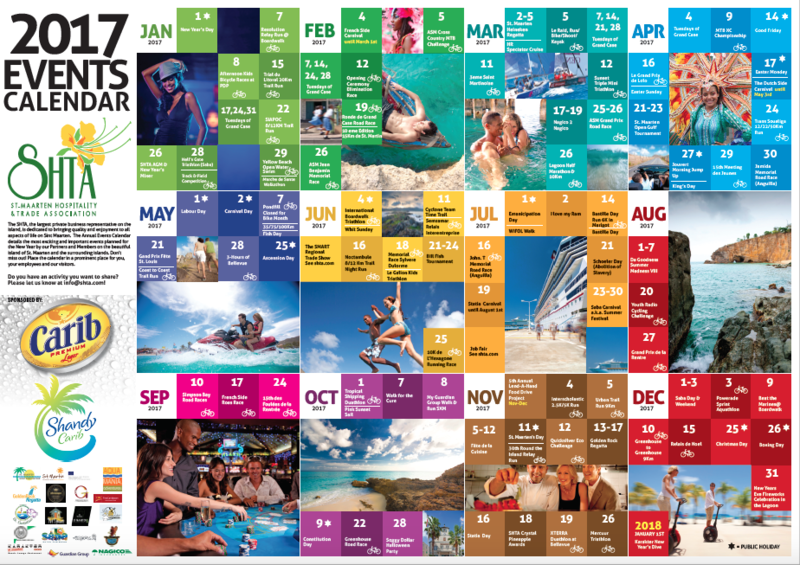 Together with Carib, SHTA launched the Annual Event Calendar portraying key activities for Sint Maarten and the surrounding islands. 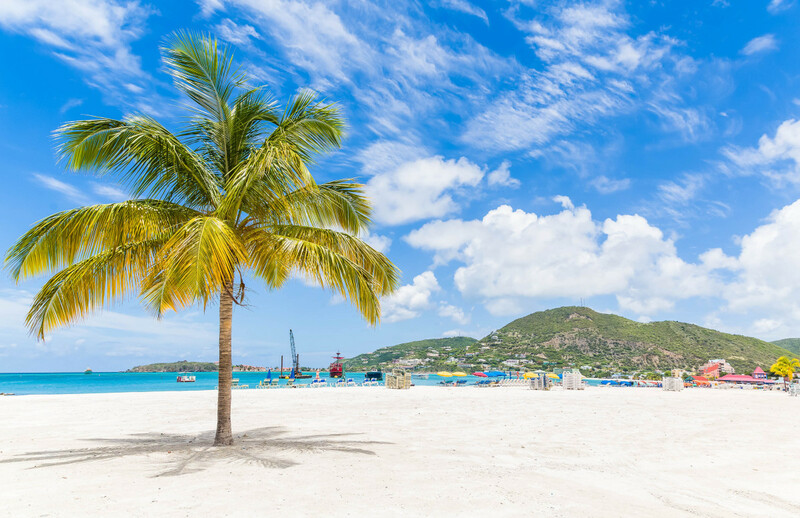 The idea behind the calendar is to show all that there is always something to do on St. Maarten, and to encourage more visitors to those events themselves. For SHTA members, none members, companies and managers, it provides an oversight for planning with a forward looking. This colorful calendar was designed by local talent Loic Bryan from Artistic Drive. The first draft of this calendar was published in the Daily Herald on January 4th, and was well received by the public. As of today it will be personally distributed in a special glossy edition by the SHTA team to all SHTA member and non-member locations. For both groups extra calendars will be available and delivered personally by SHTA. A digital version will be available from the SHTA website at Carib/Shandy Beer and SHTA 2017 Events Calendar. Carib Beers is one of the key beers of the Caribbean, and has been imported for a long time by ILTT. SHTA is grateful for its partnership on this new project and geared it towards maximum usability and attractively. Don’t miss out! If you have any events for our 2018 calendar, please let us know at info@shta.com.